Our experts are passionate about helping you live a pain-free life. 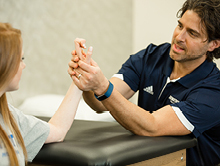 We’re more than physical therapy: We’re a partner in your healthcare journey. Have a sprain, strain or nagging pain? Our free assessment can help save you money and avoid unnecessary surgery, medication or MRIs. No prescription needed! Every patient is different. That’s why our experts listen, set goals and create personalized treatment plans that work best to help you return to your daily activities. Just ask our patients: 98% would recommend us. 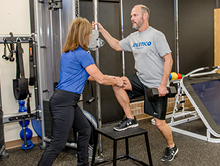 As one of the largest physical and occupational therapy providers in the country, we offer a wide range of services to help you move pain-free and get back to the life you love, fast. We help you focus on feeling better, not the fees. We offer affordable and flexible payment options, verify insurance coverage and answer healthcare questions to ease any uncertainties before your appointment. 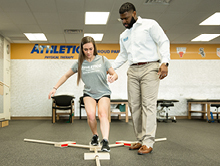 For more than 25 years, physicians and patients have trusted us to provide an exceptional and effective approach to physical and occupational therapy. See what they have to say. We are proud to partner with elite organizations of all types. We aim to keep these athletes and their fans healthy and able to do what they do best. Illinois recently joined states like Arizona, Indiana, Iowa, Kansas, Michigan, Ohio and Wisconsin to allow patients direct access to physical therapy. This means that residents no longer need to obtain a prescription from their doctor before starting treatment. Find out more about your injury and stay up-to-date with the latest health and wellness trends. Now in Illinois, you no longer need a prescription for physical therapy. Sign up for our newsletter and receive Job Postings, Health Resources, and more!